Great story aren’t they strange creatures and so much bigger than I thought! 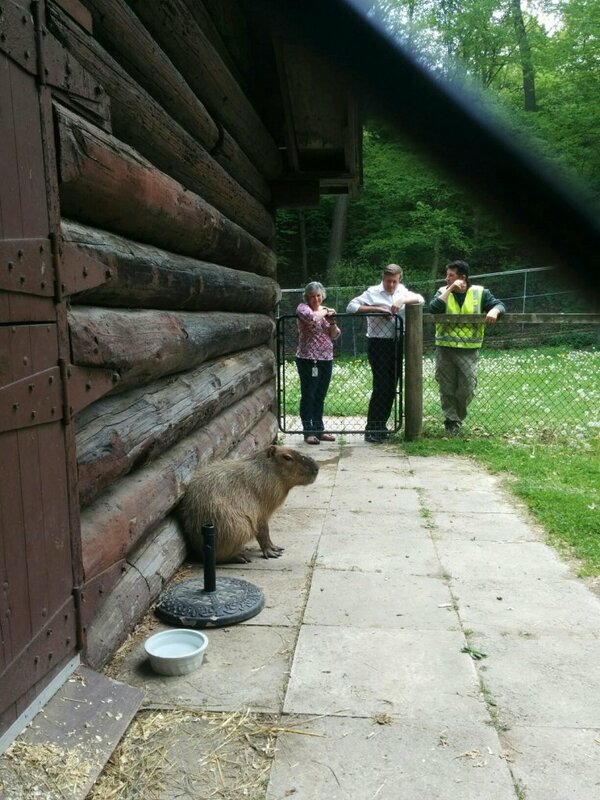 They are large but also very round and endearingly serious animals. I do so agree with your final remarks about our treatment of and attitudes to animals. 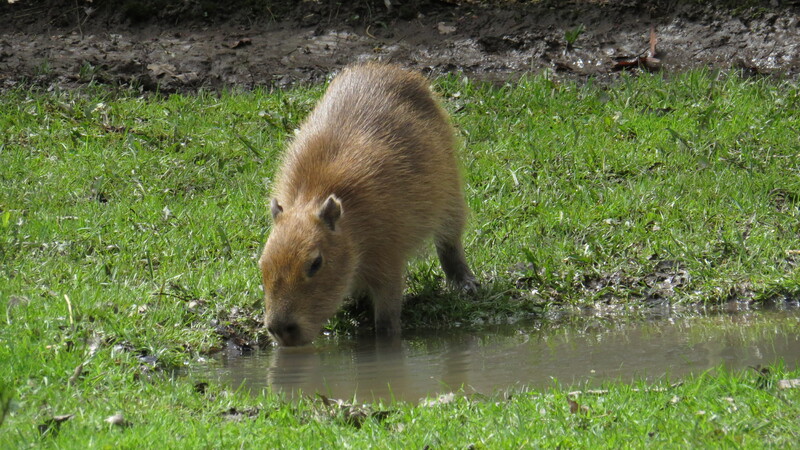 We have nutria (or Coypu) living in the creek in our backyard. 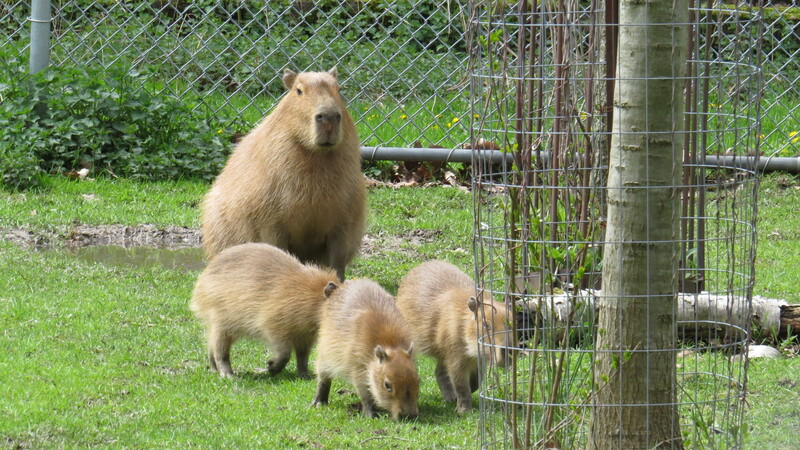 They are similiar to capybaras and weigh about 12 pounds. They were brought to Oregon for fur farming, but when that was not very succesful, they were turned loose. 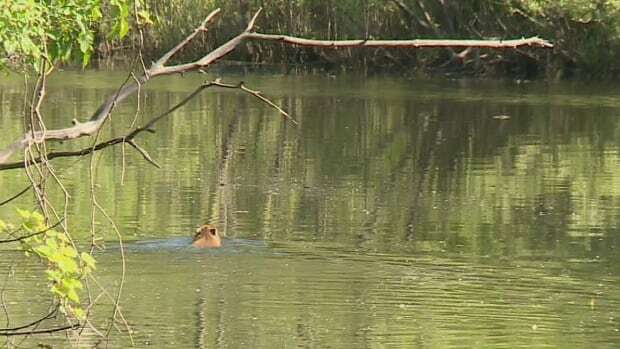 They burrow into banks and strip them of vegetation and are considered an invasive pest. They are also incredibly cute. One wet winter a shallow pond developed in the vacant lot next door. 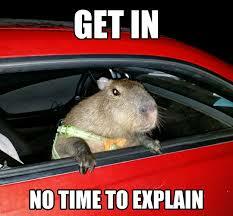 We looked out one night and a nutria was teaching her five or six children how to swim. One seems to have an uneasy friendship with our cat. They will occasionaly eat the greens in my winter garden. 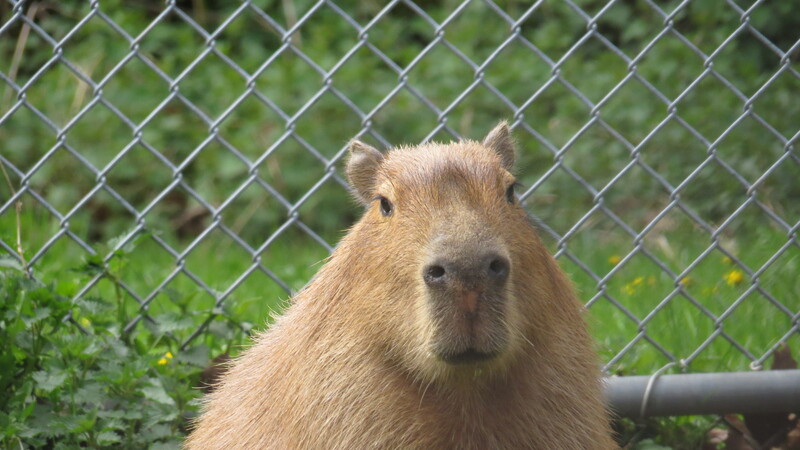 I have seen a nutria in one of our parks eat from the hand of a homeless man. They are said to be delicious. Very strange looking creatures but hooray for their brief escape! 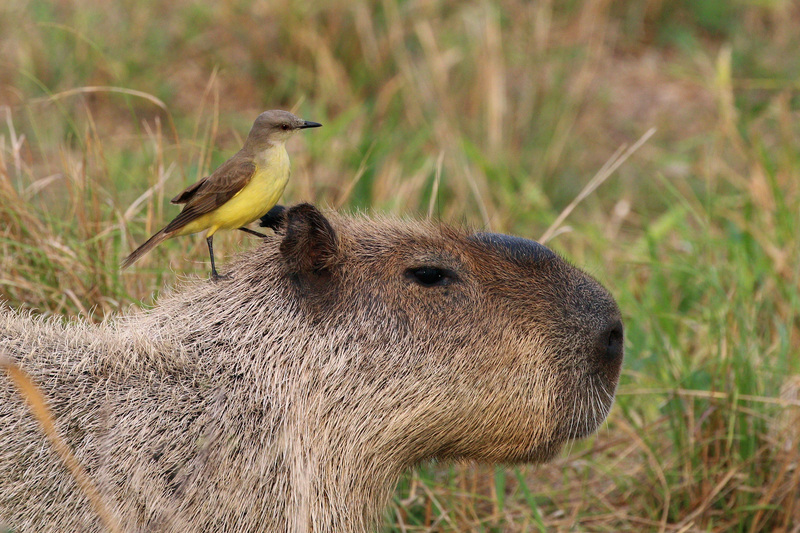 I love the picture of the Kingbird on the back of a capybara – it truly looks ‘king’ like! It does, doesn’t it! I bet the bird is urging its ‘steed’ onwards….